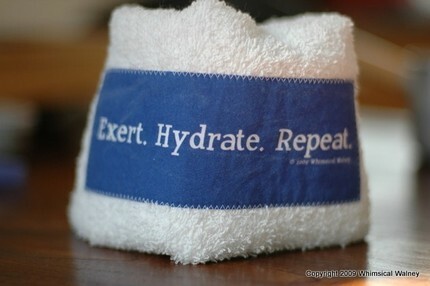 Words to Sweat by: Exert. Hydrate. Repeat. No matter the weather, we’re all getting out to move in some form or fashion – it is Summer after all! So, in order to stay hydrated, it’s important to remember that while sipping on a steady stream of H20 is important, not all is lost if you aren’t able to as much as you think you should. Hydration, after all, comes in many forms and this Runner’s World article gives some ideas on foods you can eat to add to your hydration. 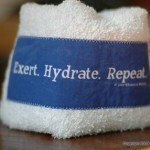 What are some other things you drink or eat to stay hydrated for your workout on super hot days? .-= Kati Behind the Plate´s last blog ..I Scream, You Scream, We All Scream for Frozen Yogurt! =-.